The Jacaranda Country Club is an upscale golf community that never fails to draw notice among properties for sale in Florida’s Venice real estate market. This community charms prospective home buyers and investors with its superb location along Jacaranda Blvd., a strategic thoroughfare in the city that leads to many of the attractions in the downtown district. The golf links that provide the lush green setting for homes in Jacaranda was opened in 1975 and its original designer was the well-known course architect Mark Mahannah. The 18-hole layout was renovated in 2004 under the able direction of another noted course designer, Chip Powell. The course measures 6,589 yards from the farthest tee placements. 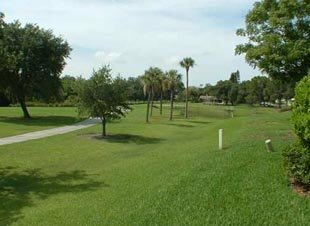 It offers play at par 72 on a course rating of 71.6 and a 130 slope rating on Bermuda grass. Wider and friendlier interaction prevails at this community as ownership of a property at the Jacaranda real estate complex is not a prerequisite to club membership. Besides golf, the country club also has excellent tennis facilities and an elegant clubhouse for socials and dining. Woodmere Park, which is practically walking distance from the Jacaranda homes is another source of delight to the residents of the community. This park is comprised of thirty-six acres and one of its special features is a two-and-a-half-acre “Paw Park.” This dog playground is open from dawn to dusk and incorporates benches, shade, and picnic shelters. It consists of four structures with lighted, covered walkways. Other amenities in this park include an indoor gym, all-purpose rooms, kitchen, playground, lighted basketball courts, and horseshoe pits. The homes for sale in Jacaranda are also highly marketable because of their proximity to many of the popular venues for shopping and dining, as well as those for additional recreation and entertainment. A short trip up north takes the community’s residents to the Venice Bay Plaza and the Sweetbay Supermarket. Also around this area at Center Road, there the local YMCA is located, are splendid restaurants like the Mama Leone and China One. 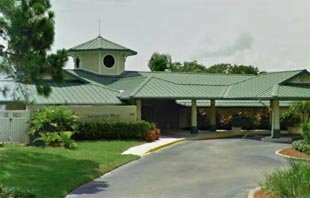 Driving a few blocks down south, on the other hand, brings residents to the Venice Shopping Center and Walmart Supercenter, as well as to the Outback Restaurant and Panda Express, which are just all around the vicinity of the South Tamiami Trail. 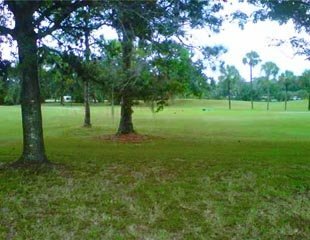 Like many homes for sale in the Venice real estate market, those in the Jacaranda Country Club enjoy proximity to the Gulf Coast beaches. The nearest best to the community is the pristine Manasota Beach which has a lot of amenities, like boat ramps and picnic shelters. Jacaranda homes for sale are typically three-bedroom residences with floor areas ranging from about 2,100 square feet to around 2,600 square feet. At asking prices that can start from the low-$300s to the low $400s, these residences are certainly standouts in realtors’ listings, considering the value-added elements to these properties. Below are all of the current real estate listings available for sale at Jacaranda.